Rural Kansas Tourism | Iola Exploration: Largest Downtown Square in USA! 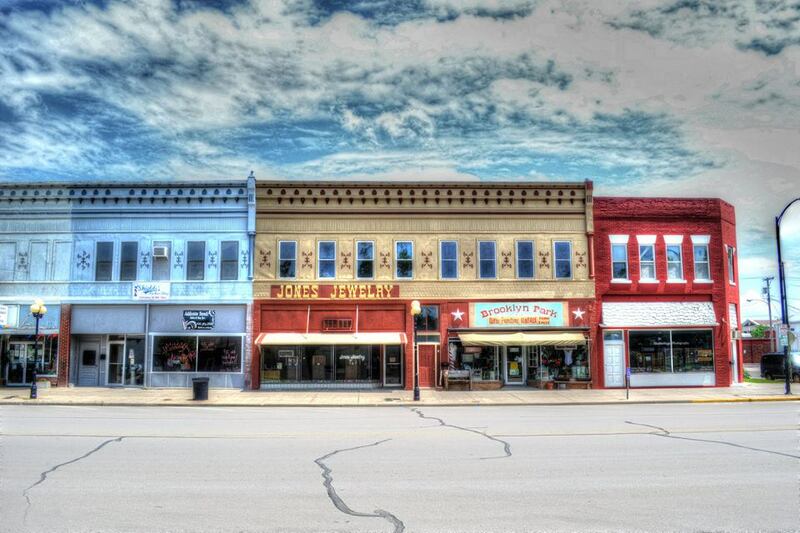 A few years back, the Iola Chamber of Commerce decided to search the nation for the largest downtown square. With Iola's square being 2 blocks long and 2 blocks wide, they were sure they were the largest. No other downtown courthouse square could be found that was as big, except for one in Graham, Texas. Luckily two residents of the Iola area were going to be traveling to Texas and decided to take their camera and visit Graham to see if it was indeed bigger than the Iola square. Happily, the couple came back (with pictures) announcing that Graham's courthouse square has a road running through it. Because Iola's is one solid square, we believe it is the largest downtown courthouse square in the United States of America! No one in the nation has disputed us yet! The downtown Iola square has the beginning history that can be heard on a Fearless Fred Trolley Tour! You'll hear interesting stories about the original settlers, their businesses, and the architecture of the old buildings. This is a 30 minute tour. Call 620.228-0439 for more details. The trolley is busy and has many tours waiting for you! The downtown square is also nice for an evening stroll or unique shopping. In 2014 the local CITF/PRIDE group added informational plaques regarding the buildings around the square. This makes the walk around the largest downtown square pleasurable and historical! 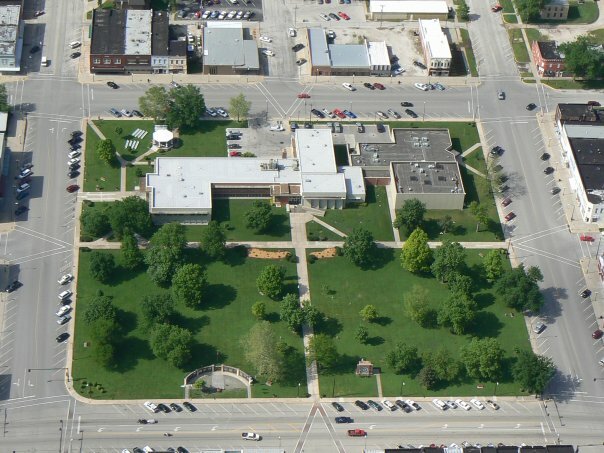 The large square is the host of several Iola events, such as the oldest continuous Iola Band Concerts (since 1871) in June and July, the Farm City Days festivities in October, the annual Easter Egg Hunt, the Farmers Market from April - October and the Santa House activities during the Christmas Holiday, just to name a few! Keep your eyes open - as you walk around the square you will notice new things happening all the time as building owners work to spruce up and bring back the looks of the past! Look up! You can see many upper stories have been transitioned into lovely AirBnB's as well as local or regional businesses, just as in days gone by. Notice the historical markers on each business telling when and what each business started as. More historical plaques hang out front on the poles to tell about the business blocks from 100 years ago! Good things are happening everywhere around the BIG Iola square! Come see us downtown!